The German Bishops’ Conference latest decision to convoke a local Synod that will lead to binding decisions on sexuality, priestly celibacy and reduction of clerical power was not a surprise. It is part of a debate that the German Church has always carried forward. Rather than a surprise, the decision shed light once more on a well-known problem: the hidden schism within the Catholic Church. Like for every other Pope before him, this issue represents a challenge for Pope Francis. It is worth noticing that the phrase “Hidden schism” was at the beginning used by progressives, who used the expression to describe the schism between practice and doctrine. They stressed that in order to avoid the schism, the Church had to adapt to the world. Now, the situation is the reverse, and the schism is denounced by those who want to stick to Catholic tradition. It is, however, a dramatically current topic for the future of the Church. Where will the Church find strength and traction? What must be developed to foster new humanity? These are the issues that should animate the Catholic discussion. However, these questions were left unanswered and the discussion, at least in recent years, moved elsewhere. In 1950s, Joseph Ratzinger wrote the essay “The new Pagans and the Church” to describe the (then new) phenomenon of people that felt and self-proclaimed to be Catholic and yet did not live their Catholic faith. The Second Vatican Council was a response to that widespread issue. It was not a way to break with doctrine and adapt to the signs of the times. It was rather an update in continuity, a way to look at the world with eyes new but well grounded in tradition. The narrative after the Second Vatican Council betrayed the Council itself. It did so by describing the Church with secular, rather than religious, criteria. If faith is considered in terms of representative categories, it is not possible to understand the sense of celibacy, of the male priesthood, of sexual morality. Paul VI’s encyclical Humanae Vitae represents how the Church tried to guide the discussion back to religious, rather than secular, issues. To St. Paul VI, that encyclical marked a point of no return. He would be Pope for the following ten years, but never wrote another encyclical. That encyclical was a point of no return for John Paul II also. As a Cardinal, he was committed to the explicit recognition of Humanae Vitae as magisterium. As Pope, he worked to center the Church’s teaching on Christ and redemption, resisting ideological pressure. After John Paul II, Benedict XVI took it a step further and reaffirms the notion of truth and of the truth of the Gospels: his books on Jesus of Nazareth are a masterpiece. Benedict XVI also highlighted the core issues. He delivered two important speeches on the issue: one during his 2011 trip to Germany, the other to Swiss bishops at the beginning of the Pontificate. Benedict XVI nailed the issue of a too worldly Church that needed to be less worldly. In 2011, the German Church felt it was being called into question. Benedict XVI made his call for a less worldly Church in front of the powerful Central Committee of Lay people of the Catholic Church in Germany, the ZDK. The ZDK is very wealthy because of Kirchensteuer (the Church tax) and it has very strong structures. Cardinal Karl Lehman said he was embittered by Pope Benedict‘s speech, and the General Assembly of the German Catholic Church held after the trip took instead the progressive side. It was the period of the Pfarrer Initiative, a call by 150 parish priests to change – what a surprise! – the doctrine of the Church, in particular on sexual morality, celibacy, and access to communion for Catholics divorced and remarried. During that same trip, Benedict XVI turned upside down the notion of “We are Church,” thus creating a crisis in the progressive world. Pope Francis inherited all of this. The Pope was however elected with the support of those who backed a new doctrinal agenda. Cardinal Godfried Danneels, who passed away recently, recounted the story of the St. Gallen Group and described it as a sort of Mafia club that backed Pope Francis’ election. Cardinal Lehmann was part of that group. When he was elected, Pope Francis was given the mandate of carrying out a robust reform, that was, in fact, a secular-like reform. The discussions were about the Curia reform, the financial reform, the Vatican administration reform. Mostly, the discussions were based on the logic of power rather than on the logic of the Gospel. 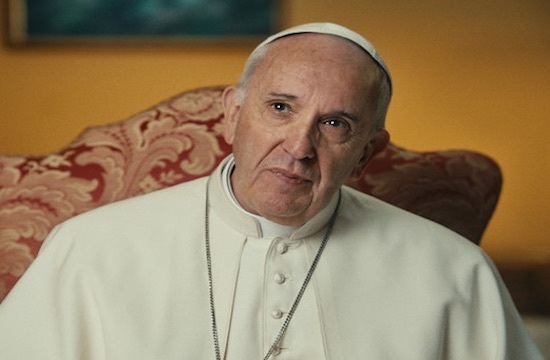 So, Pope Francis had to face old problems with old people. The challenge was to find new ways. And the new way is the Latin American way, that came out of the 2007 Aparecida meeting. Benedict XVI gave to that meeting a Christological imprint, but not strong enough to prevent that conference from embracing Latin American pragmatism. That pragmatism is born out of necessity. 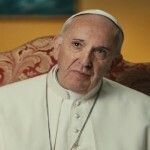 Pope Francis incarnates that state of necessity in his declarations and in his way of managing situations. For example, he has made it clear he will not make any definitive statements on doctrinal issues. He wants to keep all the debates open. It is, in the end, a Church in a state of permanent Synod. The Church in a State of permanent Synod, by the way, paves the way to the institutionalization of the hidden schism. The Catholic Church in Germany will certainly not be able to change the doctrine with this “binding” local Synod. Only the Pope can. However, this Synod seems to be a form of pressure raised against the pontificate. It is not a new form of pressure. The Pontificate will be then called to go out of the pragmatism that characterized it. This pragmatism led to some results, as the declaration on Human Fraternity the Pope signed in Abu Dhabi or the mediation for the restoration of Cuba – US See relations. However, this pragmatism also fed discussions, never solved doctrinal issues, and the notion of pro and anti-Francis parties. This is the framework where the Catholic Church in Germany launches its agenda once again. In the meantime, the Church is under attack on multiple fronts, particularly on the abuse issue. The Church responses to these issues are always pragmatic. A clear focus on faith is lacking. It is hoped that Pope Francis’ post-Synod exhortation, that will conclude the 2018 synod on Young People, will lead the discussion to faith issues. The exhortation is entitled “Christ, our hope, lives”. If this exhortation becomes a sociological document, as were the pre-Synod document and the Synod 2018 final document, it will fail to tackle the issues. Thus, the hidden schism will keep on growing. And will no longer be hidden.